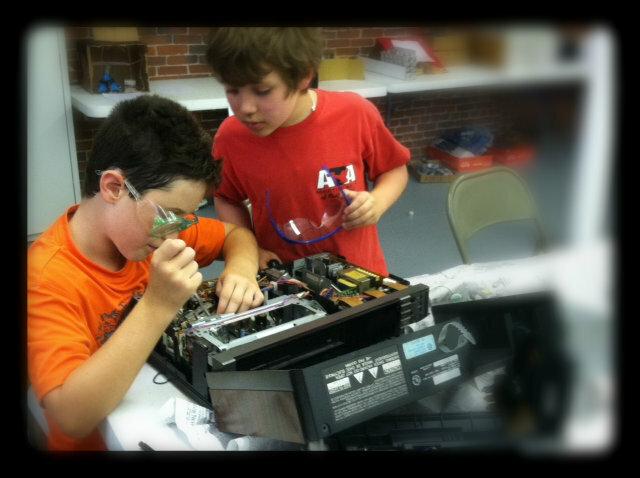 During our annual Camp Summer Science, Reverse Engineering module, our campers disassembled VCRs, printers, walkie-talkies, fax machines, drills and radios with the goal of gaining an understanding of how and why these items work and what kind of materials and parts make up these devices. (All of these items were brought from the homes of each camper and had been approved as “non-returnable” items by the guardians of these campers, we trust…) The campers learn about and are instructed in the proper use of different tools during this module, discussing what they find along the way. Many of our campers up-cycled (converting waste materials or useless products into new materials or products) these parts and pieces into fun sculptures, jewelry and creatures or were incorporated into their hands-on exhibit prototypes (another module at camp). There was an impressive amount of left over material generated from the reverse engineering process and while many of our campers would have liked to bring it home, most of the parents prefer to leave this material at SEE. That is when we call our friends at Yesterday’s Electronics Solutions. 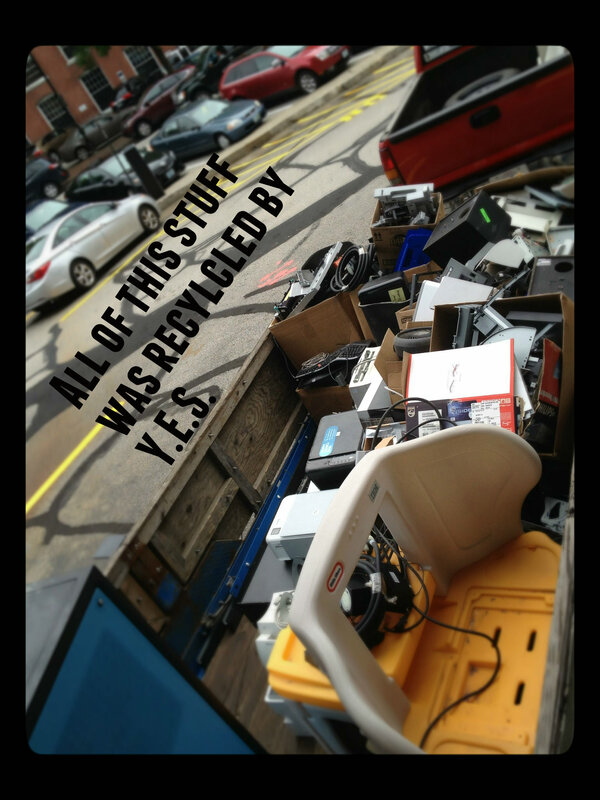 This organization breaks down electronic devices and materials, separating them into recyclable commodities. They are a great partner and resource and our neighbors at FIRST use them too! Over the next year, the SEE Science Center will be producing numerous new exhibits that will serve to engage and educate our visitors on topics related to recycling, energy use and resource management . Look for The Green Revolution, coming soon! By seesciencecenter in Uncategorized on August 21, 2013 .